Need an airport transfer from Bangkok's Suvarnabhumi International Airport or Don Mueang International Airport? Save time and hassle by booking this private comfortable and efficient airport transfer from the Bangkok International Airport to your Bangkok hotel before you land in Thailand. The chauffeurs are carefully selected for their professionalism, knowledge and discretion. Transfer services are available 24 hours a day, 7 days a week. 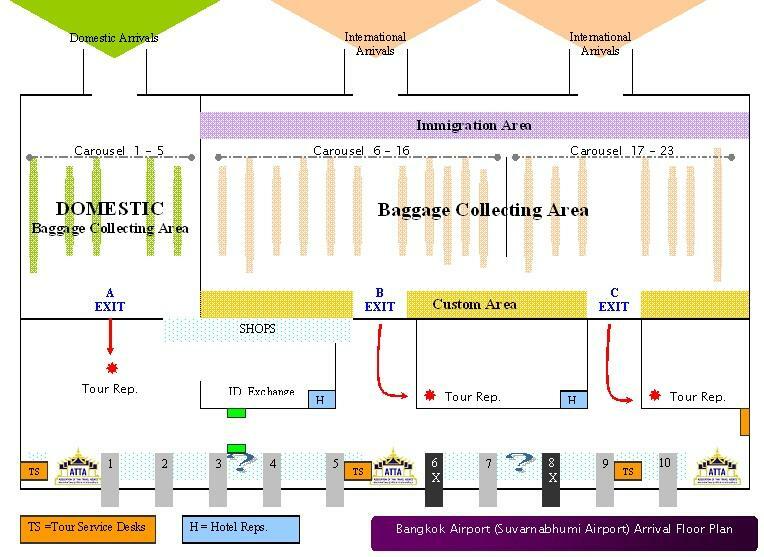 When making a booking, you will need to advise your flight details and your Bangkok accommodation details. Your Bangkok International Airport to hotel transfer will be confirmed immediately and you will be provided with a travel voucher to present to the driver in Bangkok.Price is per person, based on 3 to 6 adults per car/vehicle.